How to be a videoblogger on Vimeo. Target audience: Nonprofits, cause organizations, social activists, NGOs, citizen journalists. This is part of our ongoing series designed to help nonprofits learn how to use and create media. With YouTube pumping out 2 billion video streams a day, one thing is clear: Video matters. Although it may seem intimidating, using video as part of your nonprofit’s online presence has become surprisingly cheap and easy. If your nonprofit isn’t yet using the power of video, this post will help you discover how simple it is to get started. Video is an important component of telling your organization’s story — and it’s not as hard to do as you might imagine. I met David Spark, owner of the custom publishing company Spark Media Solutions, at his “How to Be a Videoblogger” workshop in San Francisco. We gathered at a small cafe as he discussed hardware, software and video shooting techniques. In this 8-minute video, you’ll get a quick guide to how to get started in video. 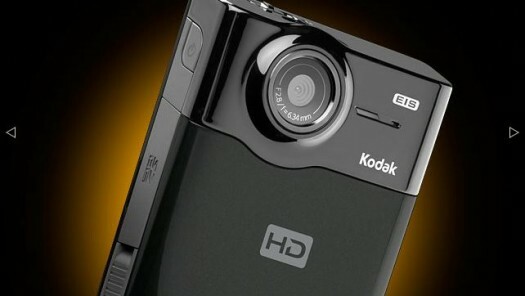 The Kodak Zi8, which retails for about $145. Higher-end camcorders (aka prosumer models) are more expensive but produce higher-quality video and provide additional controls, such as zoom, white balance, audio out and headphone jacks. Check out the Canon Vixia line ($450 to $800). In addition, digital SLR (single lens reflex) cameras can usually shoot high-def video in addition to still images. 2You’ll need a light for shooting in low-light situations, say, at a party, cafe or other indoor space. 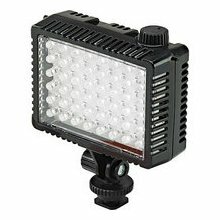 Grab the Sima Video Light, a cheap (about $30) solution that’s comparable to lights that can run into the hundreds of dollars. If you can afford it, a good alternative is the Litepanels Micro (pictured at right), which you can buy online for about $250. While you’re shopping, pick up a Joby Gorillapod, a small tripod ($20-$30) that can attach to almost anything. 3Seize an opportunity. If you’re lucky enough to catch an unusual, controversial or particularly interesting moment, capture it. If not, an interview will also work. Show activity & depth. 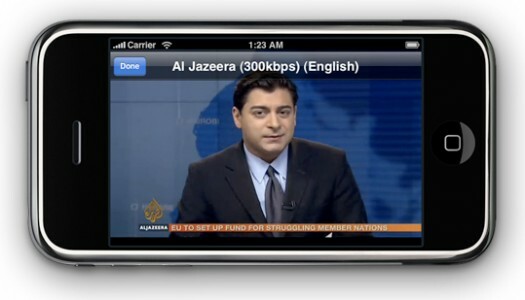 Don’t position your interviewee against the wall — the viewers are missing all the action. Ask her to stand in front of a busy hallway or show floor where the action is happening. Provide context. How-to videos & explanations. These videos (like the one in this post) are a great resource for your audience and an effective discovery point for first-time website visitors. Tour videos. Show your viewers around your office, an activity you’re participating in or an event you attended. Everyone wants the inside scoop. Fly on the wall. Instead of formally interviewing someone, just “eavesdrop” on a conversation with your handheld recorder. You’ll get a lot of natural discussion that is sometimes missed during an on-camera interview. 4Remember: You’re vlogging (videoblogging), so don’t worry about producing a perfectly tailored, professional video. Most editing can be done on your computer’s bundled software, like iMovie (for the Mac) or Windows Movie Maker (for the PC). If you’d like to experiment with more advanced editing techniques — and can fork over a few hundred dollars — Final Cut Express (for the Mac) or Sony Vegas (under $100) are good solutions. Adobe Premiere Pro is a higher-end option. • Avid is also working a cloud based tool. Do you know of others? Add your input in the comments below. 5When you’re ready to publish, head over to YouTube, where there’s already an audience looking for interesting content. YouTube has a free nonprofit program, complete with branding, fundraising options and other premium features. Vimeo, another publishing site, offers publishing with better quality (in our view) and a more sophisticated video library, but lacks the exposure YouTube gives. But be aware that not all video hosting sites have friendly terms of service. I should try this out for my ESL summer camp, I am sure it will help to get my name out there more! I think this is a good tutorial. Pretty quick and dirty. Thanks for the info! S?o Paulo, known as the “Pizza capital of the world”, has 6000 pizza establishments and 1.4 million pizzas are consumed daily.